A big surprise to Danny Johnson who has been awarded the Employee Of The Month for August. We are excited to announce that Danny has only been with our company for a few months now and he has showed all of us a better side to our business. With his genuine incentives that he offers every employee, he is truly a great inspiration to us all. 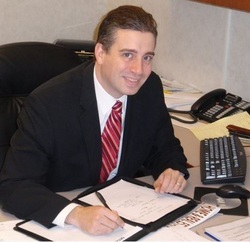 Danny Johnson is our Cash Advance Specialist. He assists every one of our customers with one of the most important services that we provide. 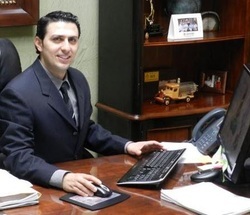 He ensures that our policy is enforced as well as maintains all of the employees that handle Cash Advances. He constantly performs on the highest level of customer service that could be offered. We can not thank him enough. Again we would like to say Congratulations on your award. You deserve it! Congratulations to Menessa Cooxsey for being chosen as our Employee Of The Month for July. Menessa has truly provided our company with several years of experience as a Marketing Specialist. She is a true benefit to us and we Thank You for that. Menessa was hired as our Marketing Specialist just after we started our company. She has done a wonderful job promoting our company and providing the proper information to other businesses regarding the services that our company has to offer. She had made a difference in all of our eyes. Once again, we Congratulate you Menessa! Way to go!